An expressway tunnel in central Japan whose ceiling collapsed in December, killing nine, became fully operational Friday after a 68-day hiatus, its operator Central Nippon Expressway Co. said. The nearly 5-kilometer-long Sasago Tunnel in Yamanashi Prefecture became fully usable again ahead of the previously targeted reopening date later this month as restoration work was hastened ahead of the upcoming long weekend when traffic is expected to increase. The Ministry of Land, Infrastructure, Transport and Tourism gave its go-ahead on the grounds that all safety issues have been cleared. 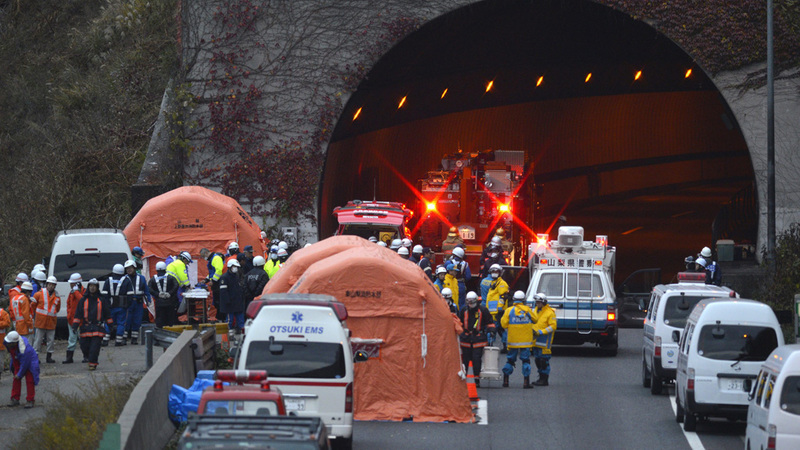 Some bereaved relatives of the victims are taking issue, however, with the road operator’s policy to prioritize the tunnel reopening before the cause of the fatal accident has been fully clarified. The tunnel restarted partial operation on Dec. 29 after tunnel collapse with half of the lanes reopened to traffic. Tunnel collapse can happen for a number of reasons such as: inadequate ground investigation, shallow ground conditions, inadequate support measures, cost optimization, inexperienced contractors, inadequate supervision, delays of excavation and support erection. Why do tunnels collapse in urban areas? 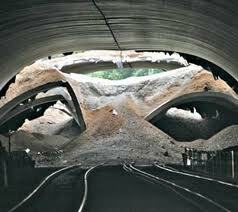 In recent history numerous headlines present tunnel collapses in major cities. One can ask why so many failures? I would like to provide some insight regarding this issue. Inadequate ground investigation due to condense building construction. Continuous differentiation of shallow ground conditions due to manmade structures, faulty utilities seeping fresh water, sewage or storm water etc. Especially in shallow ground the mechanical properties of the soil may have been modified from one building block to another. Inadequate support method of excavation. Especially in difficult and complex ground condition with mixed face conditions (strong rock and soft soil are encountered on the tunnel face). Cost optimization of excavation and support. This can lead to reduced support measures or higher advance rates of excavation to meet deadlines and follow inappropriate scheduling. Cost optimization with selection of inappropriate tunnel boring machine (TBM) that can accommodate most of the encountered conditions but not all. Inexperienced contractors and design engineers with local conditions, especially for international projects. Inadequate supervision of construction works. Delays of excavation and support erection due to unforeseen conditions such as archeological discoveries, union strikes etc. These are the most usual conditions (many other may exist) that can produce tunnel collapses. Unfortunately most of them are related to cost reduction or cost optimization. This is especially true in low bit contracts for investigation, design or construction. it could have easily been avoided. The most interesting outcome is that the cost of repairs usually is far more that the cost required for a better initial investigation, or design or construction!